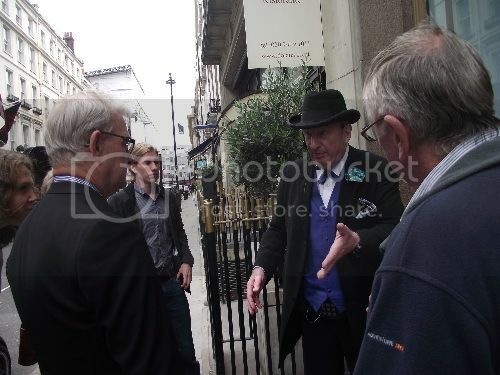 Yesterday I met up with a friend visiting from Australia and we decided to do the Oscar Wilde walking tour of London. I used to be a huge Wilde fan and my Aussie friend is also no stranger to his works. My only compliant about the tour was it was too long – 2 1/2 hours. It could’ve been an hour shorter and still give all the information about Wilde that one can remember. However, the tour was also interesting as I learned more about Wilde than I ever knew before. The tour opened with the little known fact that women were more attracted to Wilde’s company than men! The tour guide joked that while he’s doing this tour for 20 years, never once has he had more men in the group than women. So even in death, women are more partial to Wilde. One thing I learned about Wilde is that he was more of an excessive spender than I thought! He managed to spend over £5,000 at the Cafe Royal during his life. £5,000 may sound like a reasonable amount to spend over a lifetime at your favourite place, but this was the late 1800s. The average working class person made £2 a week. The most expensive gourmet meal for two was under £4. 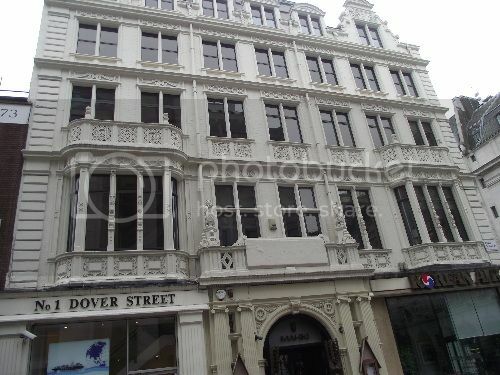 One of the former hotels where Wilde stayed. One of the few where the original building is still there. 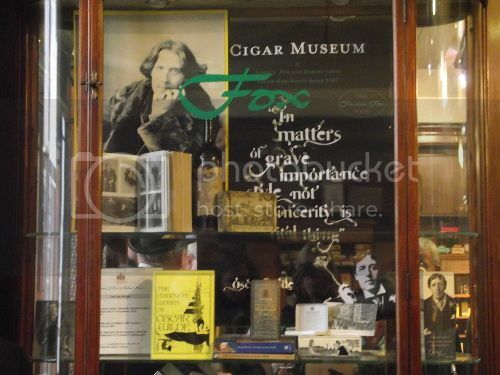 Elaborating on Wilde’s excessiveness, we visited Fox of St. James, a tobacco shop founded in 1757. Wilde bought the finest Turkish tobacco from there for his cigarettes, which were gold-tipped and had “Oscar” inscribed on the side. He smoked about 80-100 of these per day. With this habit, on top of all his excessiveness of living in posh hotels and holidays to Monte Carlo, it’s easy to see that Wilde spent more than he earned. Another thing I learned is that Wilde dying in Paris of syphilis is a myth. He actually died of an inner ear infection, after he fell on the floor in Paris and bacteria got into his ear. The syphilis rumour started as Wilde hated his teeth so he always talked with his hand in front of his mouth. The only treatment for syphilis in Victorian times was a shot of mercury which turned your teeth black. So people assumed Wilde had awful black teeth and therefore he must have syphilis. Also some thought his appetite for young men was a “crazy period” which also must be caused by syphilis. Again, completely wrong. He just liked young men! 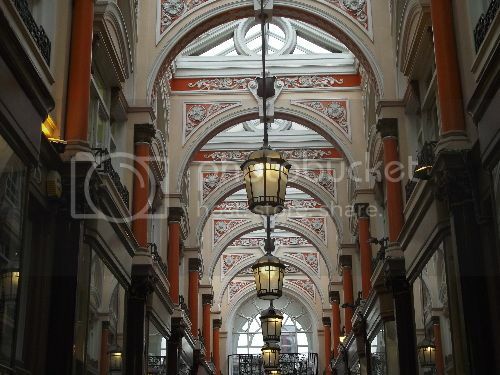 The Royal Arcade. This place held the florist where Wilde bought many dozens of green carnations for his lapel. The green carnation became the symbol for queer men to recognise each other in Victorian times. Overall, the tour was informative, as you can imagine. If you are really into Wilde, it’s a nice few hours out. However, by the end I was so hungry and tired, when we got to our afternoon tea at Drink, Shop & Do, I was really, really glad to be warm and indoors. 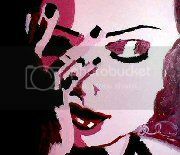 This entry was posted in life by Christina. Bookmark the permalink.